he darkness has risen and the renaissance has begun. It is up to the people to determine who will rise as the new leaders of this golden age or who they will allow to govern them either in a republic, monarchy, or theocracy. One must select the role in which they wish to play in society and how they shall play their part in either disrupting or encouraging the foundation of law, society, trade, and religion. With support of others, almost anything is possible if one sets their mind to it. The question sits... what will one resolve to do or not do? What is The World of Secfenia? It is a massive multi-player Fantasy Renaissance Role Playing Game set in the 1650's. 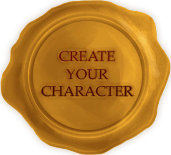 Start a character in game, meet your neighbors and tell your story on the forum.